My Grandma’s Garden is run by a Grandma and Granddaughter duo – Jessie Borsellino (Granddaughter) and Sandra Roach (Grandma). Jessie has a passion for writing and creating, and Sandy has a passion for her famous vegetable garden and natural healing. When these two passions were combined, My Grandma’s Garden was born! The main goal of My Grandma’s Garden is to share our knowledge with our followers and viewers. Sandy’s experience with gardening, essential oils and natural healing has given her the knowledge to help people live healthy and happy lifestyles. Jessie’s experience with writing and art has given her the tools to share neat kid’s crafts, restaurant reviews and more. We ultimately want people to know that there are options – we can make healthier choices with what we cook, we can make our gardens look great with the right tools, and there are ways to use natural remedies in replace of conventional western medicine. Sandy has always had an interest in gardening. When her grandchildren were very young, she used to spend time with them looking at sunflowers in the garden and picking ripe tomatoes. Her garden began expanding and growing even larger as the number of her grandkids grew to 5! When Sandy moved to Dundas, she was able to get her dream garden, complete with a variety of vegetables, bright flowers and two coy-fish ponds. With Sandy’s interest in growing her own vegetables started taking off, she began exploring healthier ways of living. Sandy started researching essential oils and their multiple uses, as well as herbs and plants used in natural medicine. When Jessie heard of her grandmother’s interest in gardening, she began thinking of creative ways to share this knowledge. 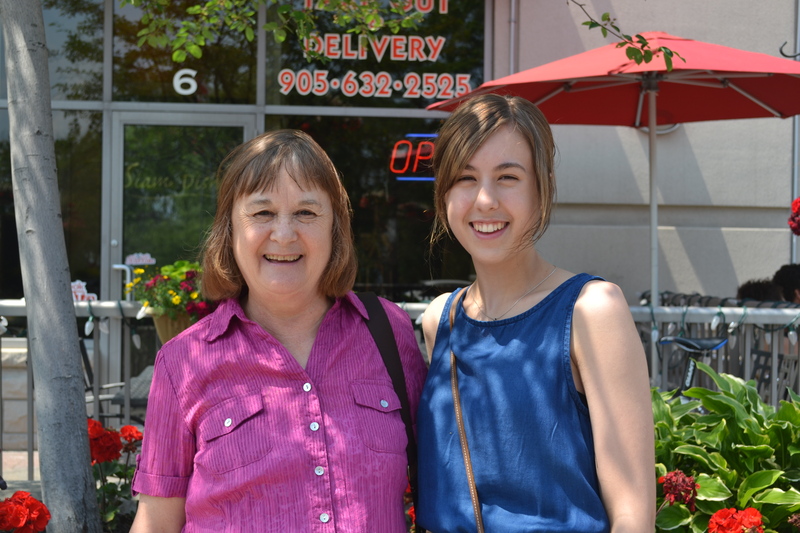 After completing her first year of her University English program and learning from different jobs and internships, she was able to combine her skills and passions with her grandmother’s to create an informative and interesting blog. Our story is far from finished, we are constantly learning new things and coming up with fresh ideas. So let’s help Grandma’s Garden grow! My Grandmas Garden website and blog has been designed to provide information to help educate the reader in regards to the subject matter covered. It is written and published with the understanding that the publisher and the authors are not liable for the misconception or misuse of the information provided. It is not provided in order to diagnose, prescribe, or treat any disease, illness, or injured conditions of the body. The authors and publishers shall have neither liability nor responsibility to any person or entity with respect to any loss, damage, or injury caused or alleged to be caused directly or indirectly by the information contained on this website and blog. The information presented herein is in no way intended as a substitute for medical counselling. Anyone suffering from any disease, illness, or injury should consult a qualified health care provider.